Complete solution with Joomla custom coding and extension design for Zogics, one of the leading cleaning supplies site based out of US. 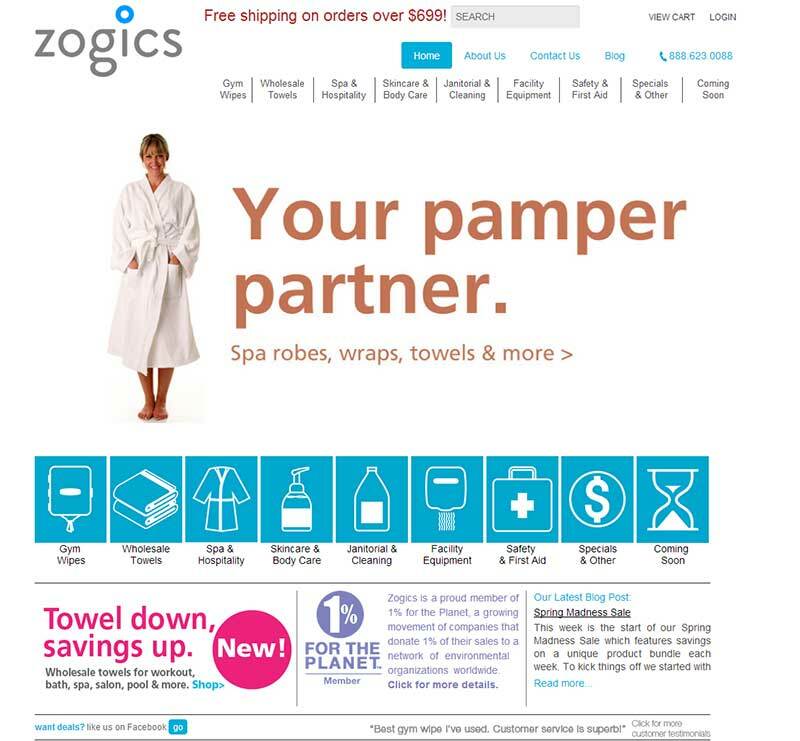 This eCommerce project included designing custom coded modules for Zogics, shipping and payment gateway integration. Platina IT is the perfect Joomla developer for your business. We understand your eCommerce needs and provide you with a unique solution that suits your requirements. Call (416) 273-7206 for FREE consultation. We work with major gyms, hotels, hospitals, and other types of large-scale facilities. However, we’re enthusiastic about working with small local businesses as well. In an effort to maintain and to save the format of our previous website, Platina IT impressed us with their expertise and efficacy in Joomla eCommerce solution. They rapidly restored the format and added novelties that were more practical and functional. Back in May of 2013, we were dismayed at the deprived quality from our previous Joomla Developer, which resulted in our website not being accessible online. As a result, our customers were seeking aid among our competitors. Then we were referred to Platina IT Technologies, through a corporate partner who knew that this company could rapidly redesign and restore our web presence using Joomla technology. And they confidently did!